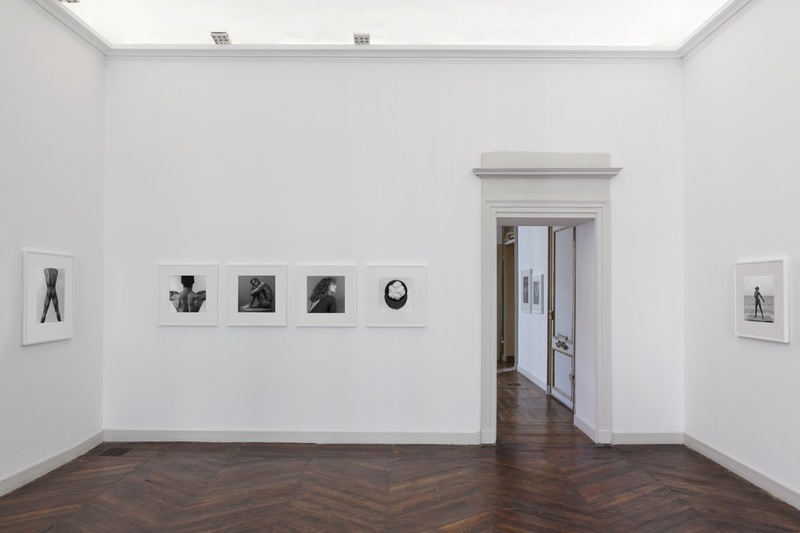 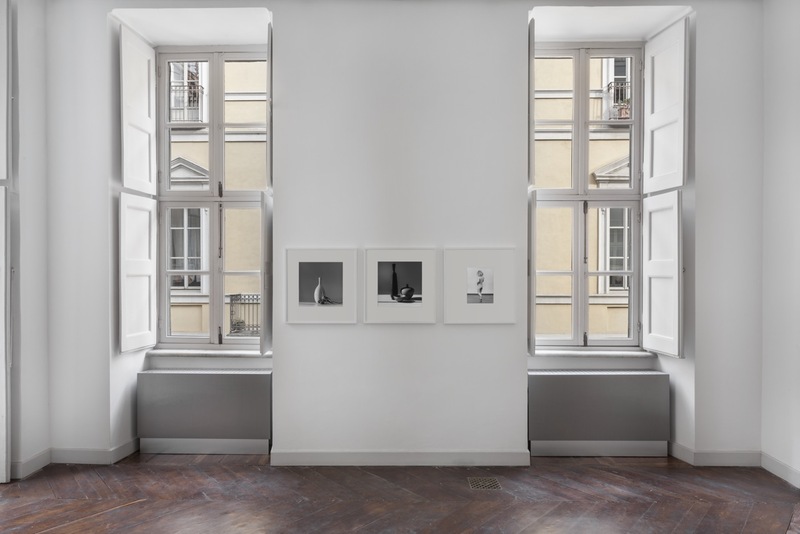 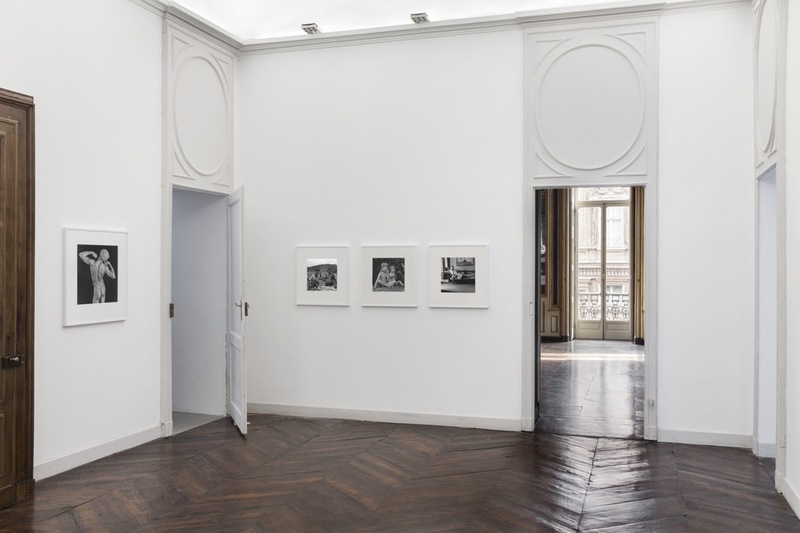 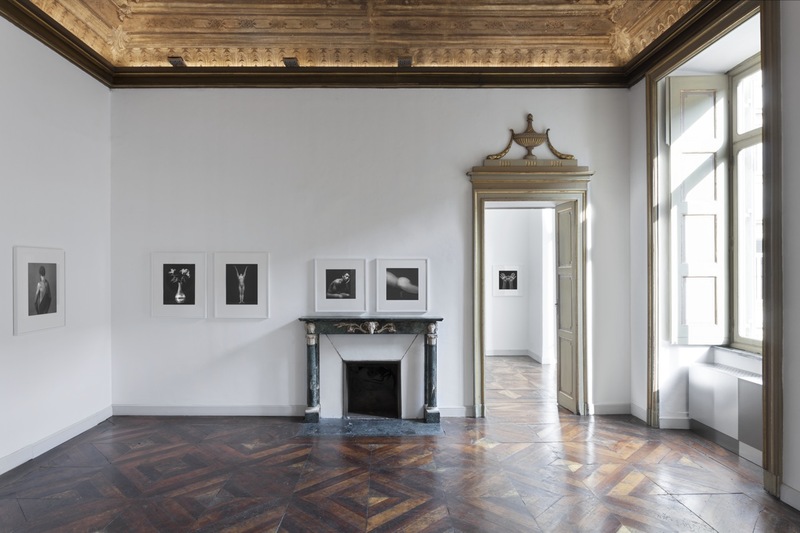 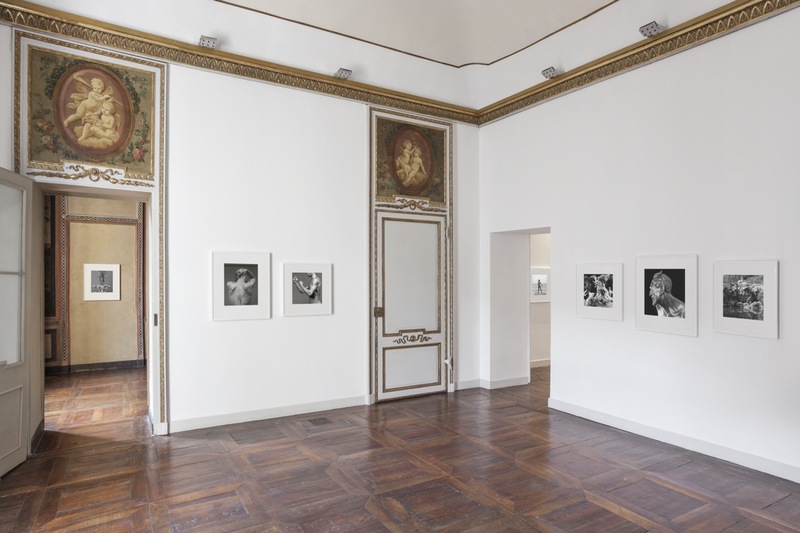 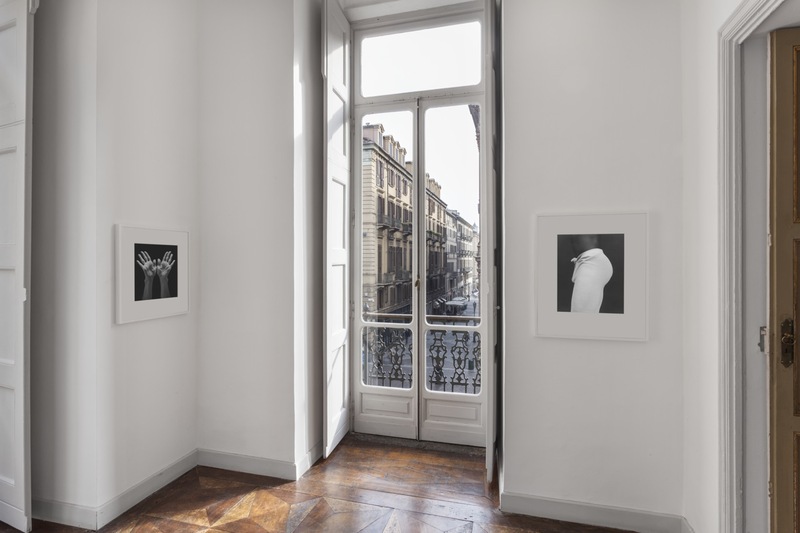 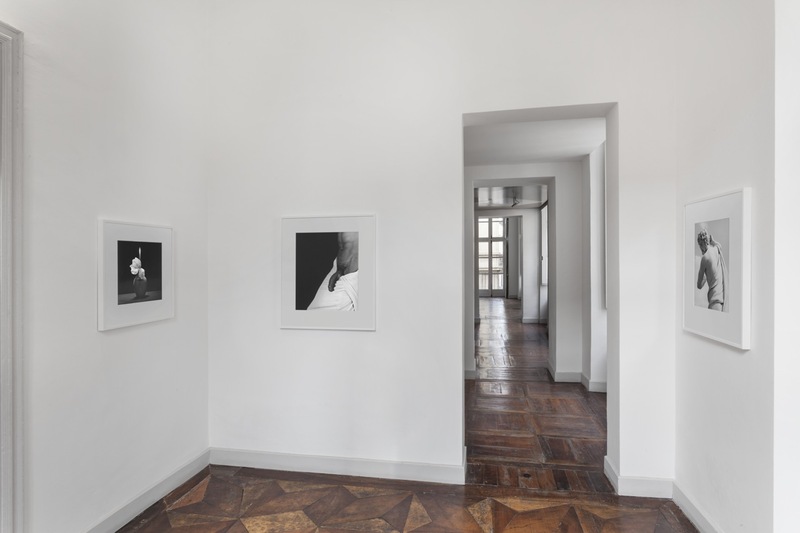 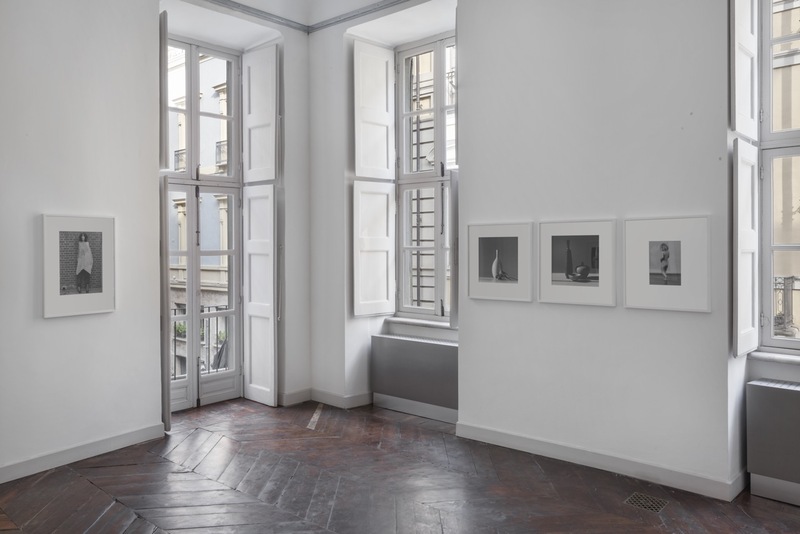 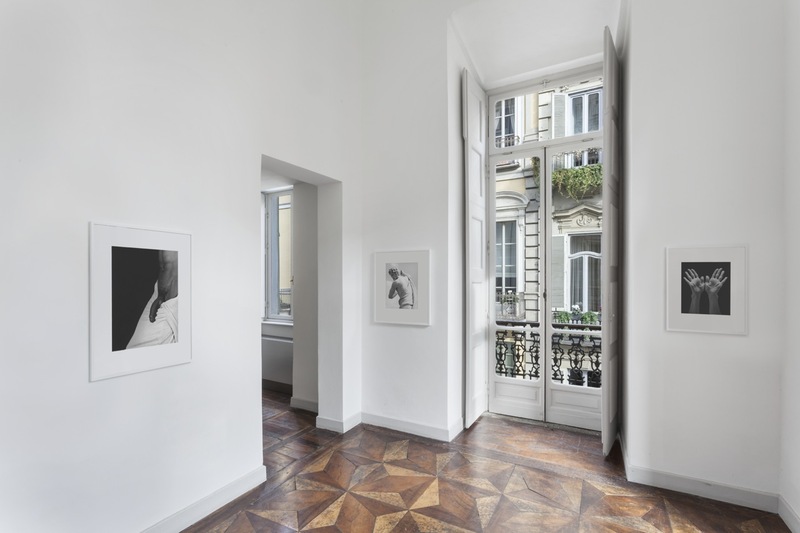 Galleria Franco Noero is honored to present a new exhibition of photographs by Robert Mapplethorpe held for the first time in the space of Piazza Carignano 2, in collaboration with The Robert Mapplethorpe Foundation. 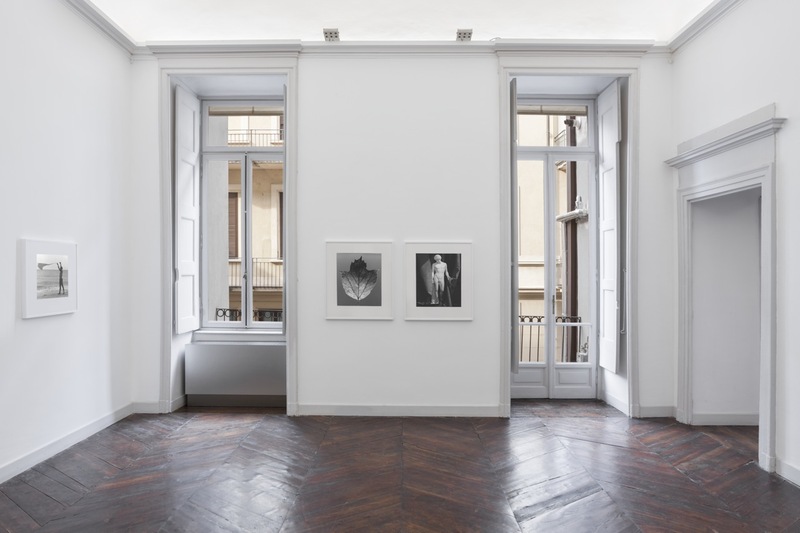 Robert Mapplethorpe, the extraordinary, controversial proponent of the American avant-garde remains an anti- conformist symbol of a timeless form of the contemporary. 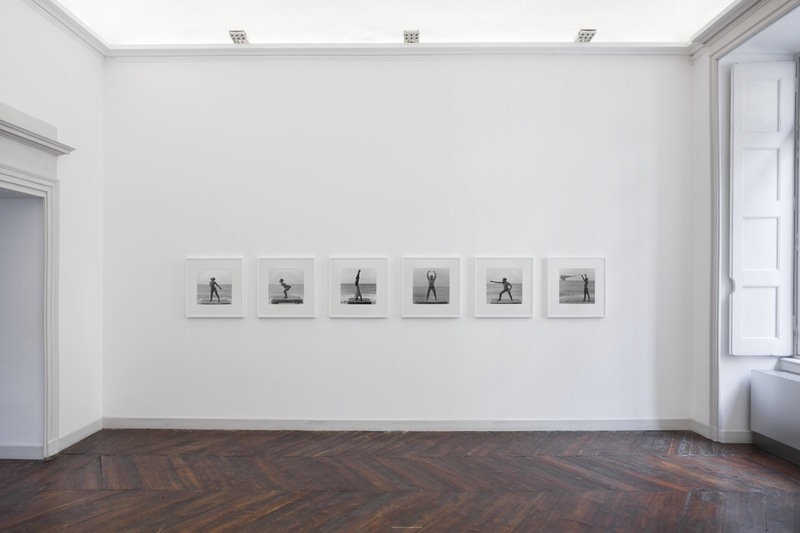 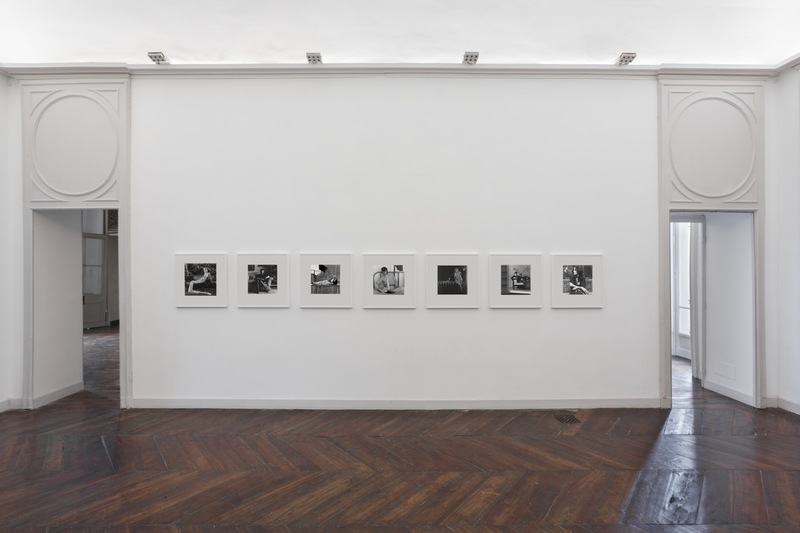 He managed to embody an extreme sense of freedom, and this consistently emerges in the interactions between his artistic practice, the private and intimate aspects of his personal life, his circle of friends, celebrity and the public. 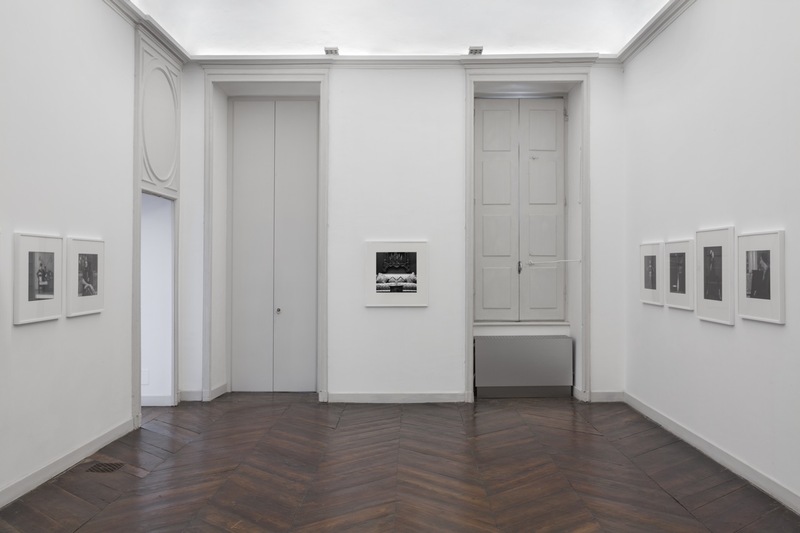 There is always something new to be discovered working through the immensely rich patrimony of perspectives and points of view that the artist has left us through his body of work, which continues to surprise us through changes of taste and time, always keeping a formidable balance between the current and the timeless. 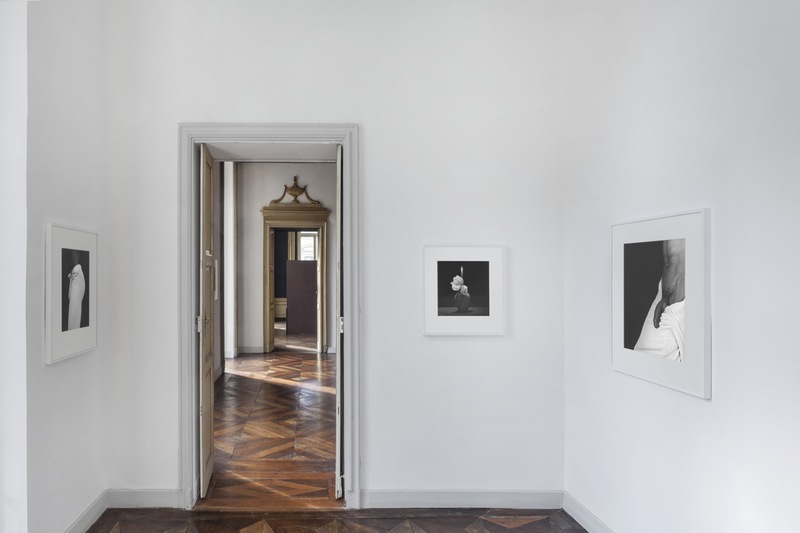 An extraordinary grace is found in unpredictable layers, in aspects of life that can only be revealed by crossing boundaries, flirting with pleasure and delight as much as with the unconventional, while sheding a light on the appearance of things that never hides the darker side. 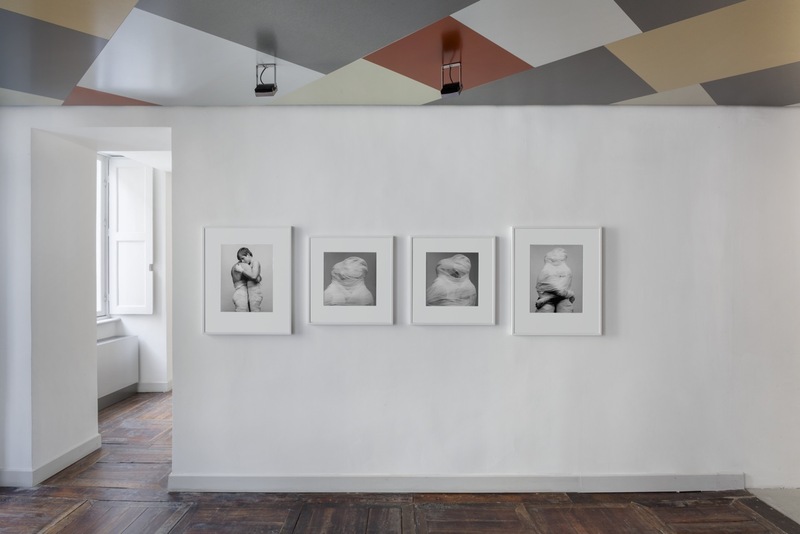 The choice of pictures is a sequence of associations, contrasts and similarities in the compositional schemes and genres dear to the artist: portraiture, still life, male and female nudes, body parts and sensuality. 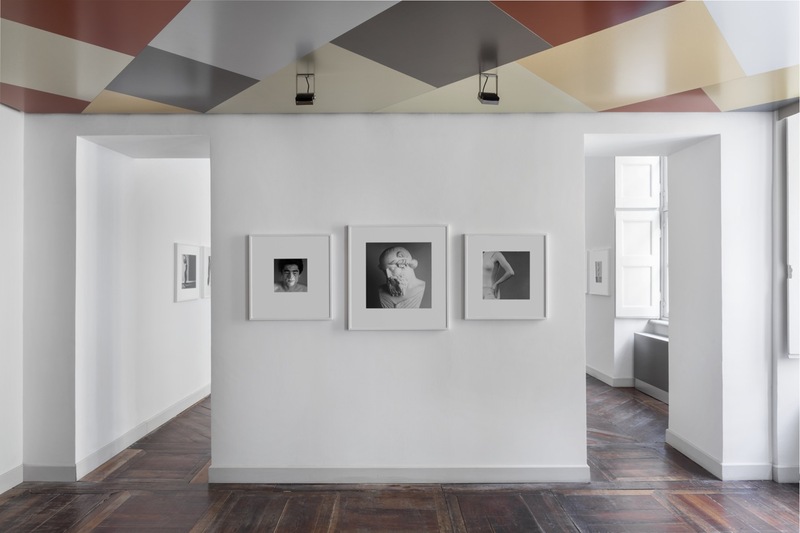 It’s a journey that spans from the diamond-pure freshness of the eye of youth in the 70’s, its gushing curiosity fed by the hunger for discovery and the new, to the more layered and sophisticated moments of the 80’s, tinged with a bit of hedonism and skillful refinement. 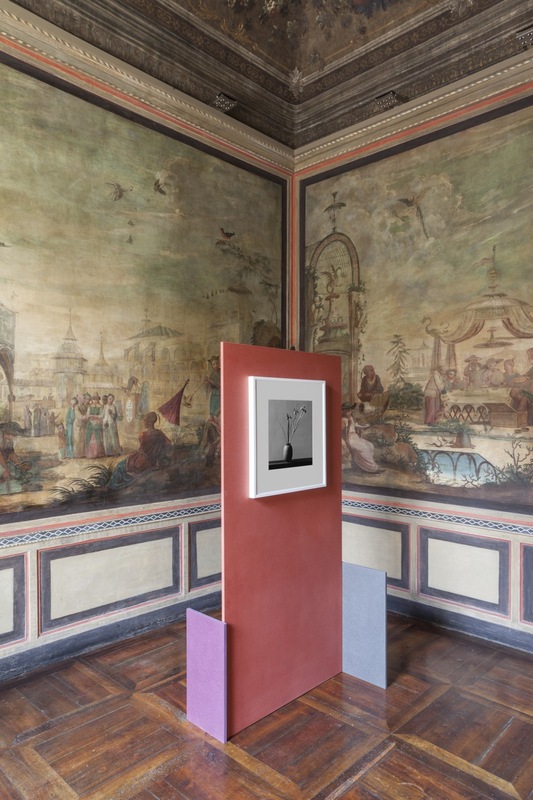 The fascination and necessity of dialogue between his deep passion for and knowledge of classical sculpture and painting constantly unfolds: an extremely formal and stylistic precision is the ground on which lays his capacity for letting his eccentricity appear, his ability to capture the unexpected, thereby creating a sense of mysterious awe. 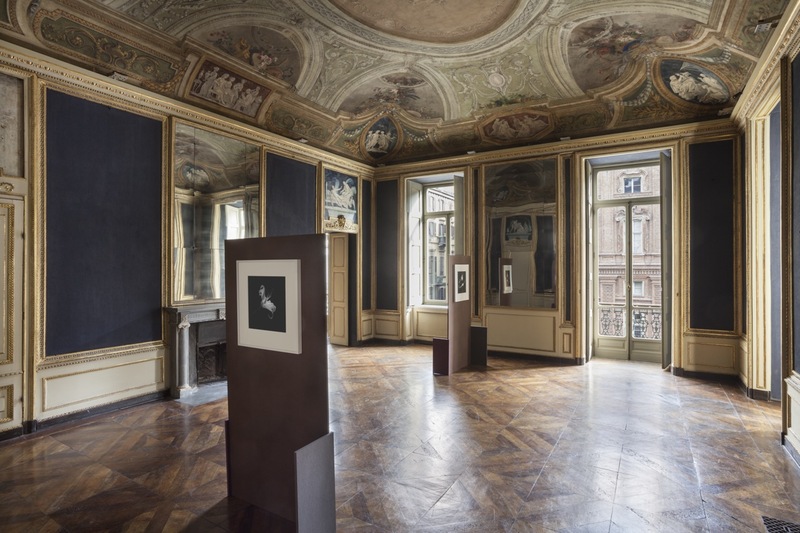 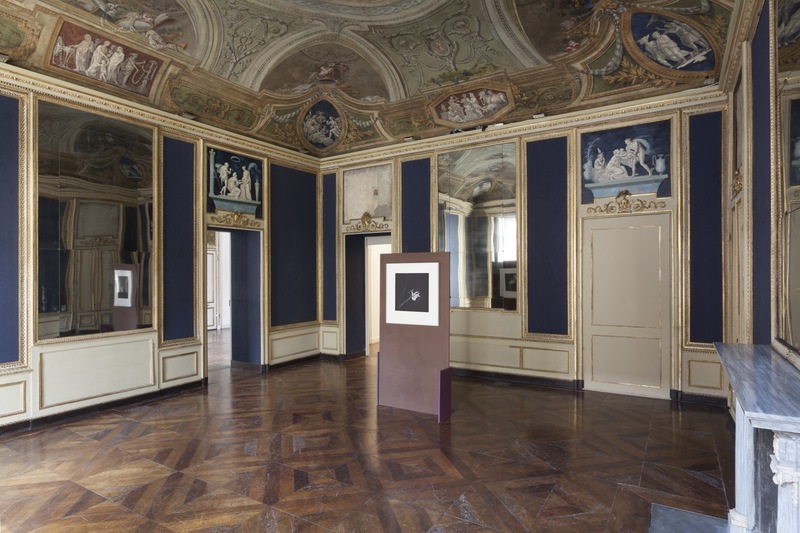 The period rooms of the 18th century apartment where the Gallery is located and the great architectural setting of Piazza Carignano that one can enjoy from the windows, have inspired a dialogue with the chosen themes and the flow of the pictures throughout the connected rooms. 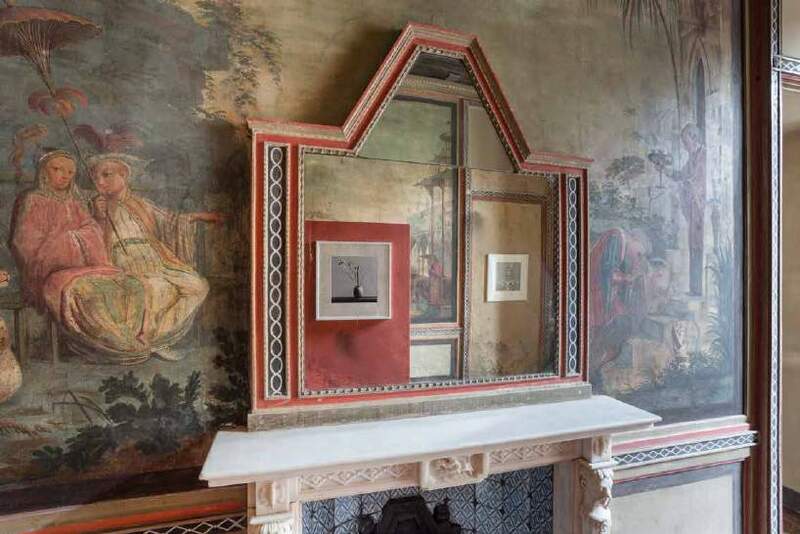 A suite of sitters welcomes the visitor, as if they could have been residing and literally ‘sitting’ in the rooms, or if they were actors on a stage set. 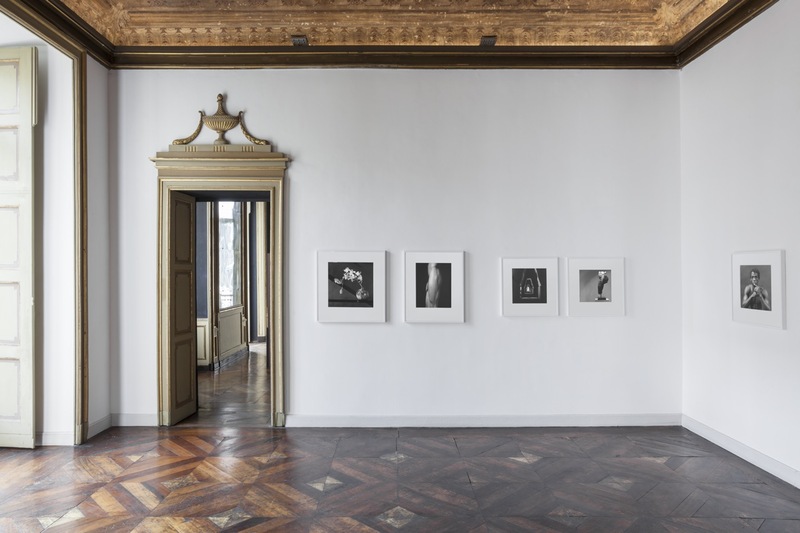 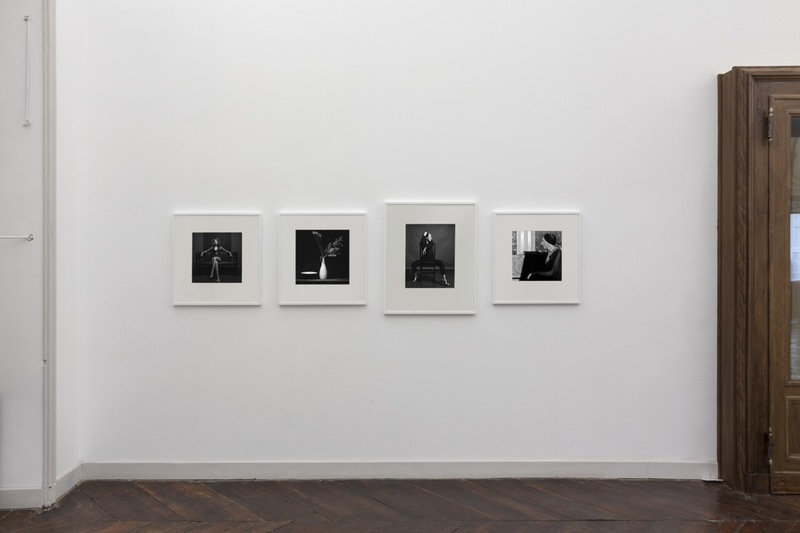 Mapplethorpe’s relationship with European artistic culture and Italy is revealed through a choice of pictures about classical antiquities, both sculptural and architectural, and by the posture he has asked some of the portrayed characters to assume. 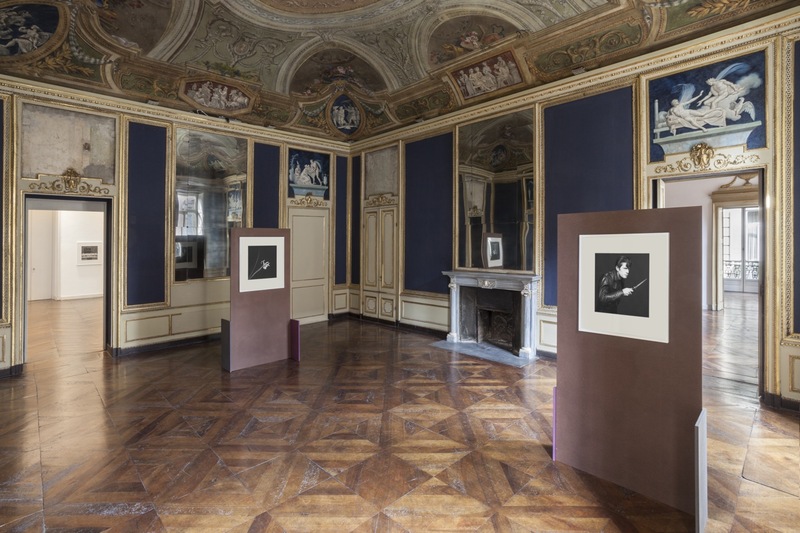 Single pictures of flowers work as punctuation throughout all of the rooms, while a large sequence of images are dedicated to two of the favourite models of the artist, Milton Moore and Dennis Speight, showing great inspirational moments in an exciting ‘crescendo’. 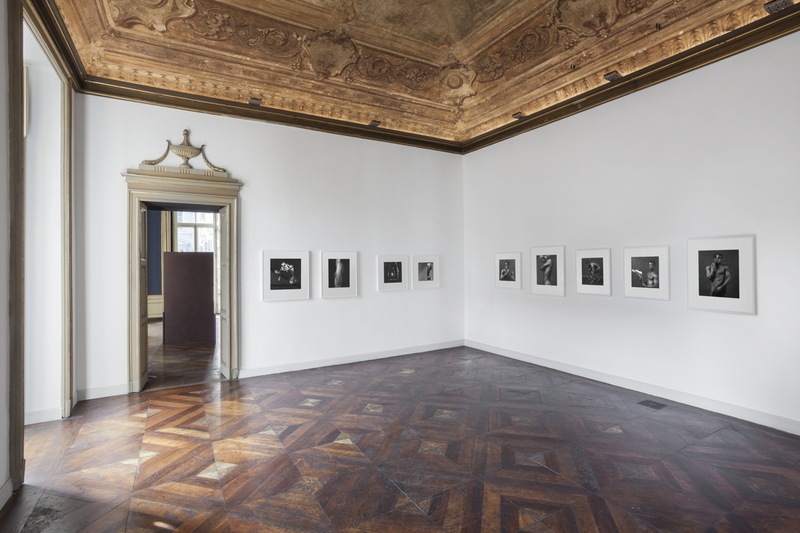 The main mirrored room of the Gallery space is dominated by Mapplethorpe’s self-portrait holding a knife, which becomes a sharpened protrusion of his arm, as if he was in constant search of something, beguiling and threatening at the same time. 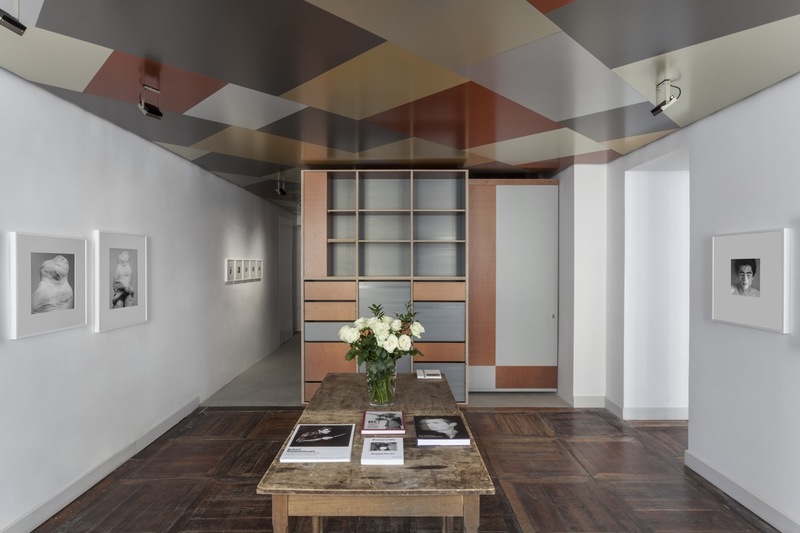 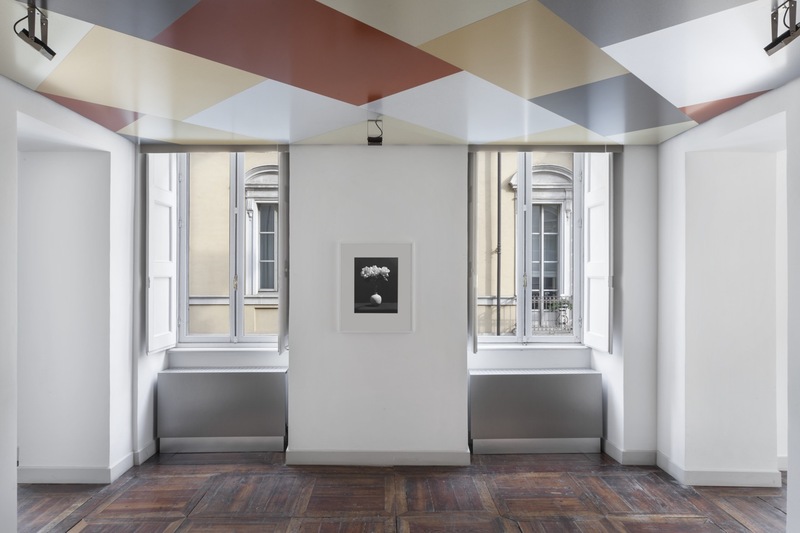 The picture reverberates all throughout the room, hanging on one of the coloured panels expressly conceived for the exhibition by Italian designer Martino Gamper, inspired by the colours chosen by Mapplethorpe in the tight series of unique framings he has realized. 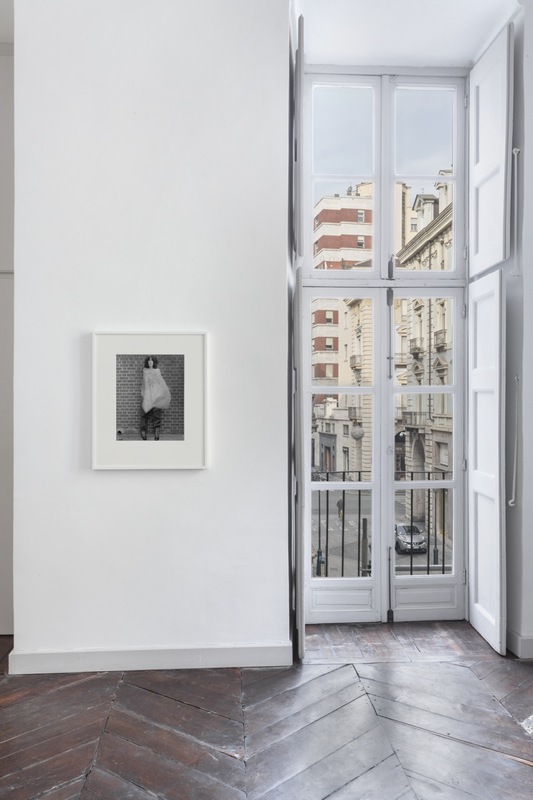 In all of the pictures moments are captured with a magical feeling of weight and movement, the constraint of postures and tension in the bodies and still lifes, all reveal the evident wish of capturing humans and inanimate objects with the same intention. 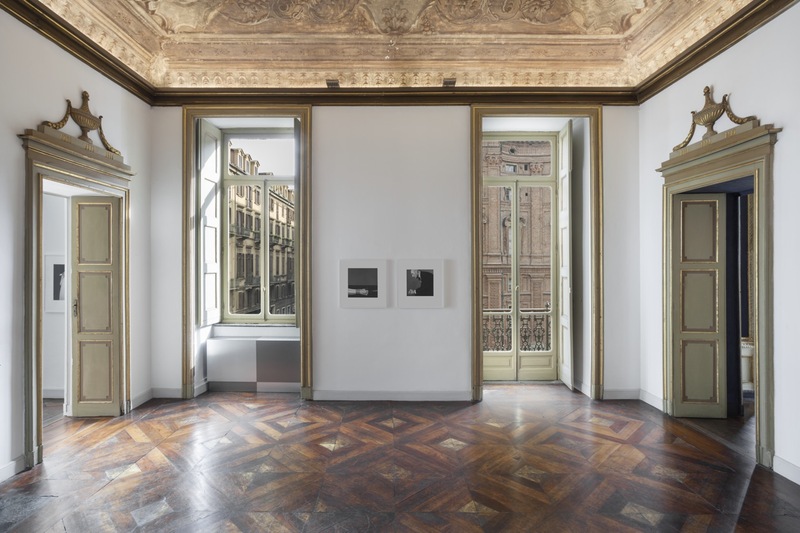 The revelation of an inner truth through the sensational vision of Mapplethorpe’s eye and of its prosthetic camera tool, leads to a masterly modulation of starck black and white tones, diving and melting into a field of softer and ever changing shades of grays. 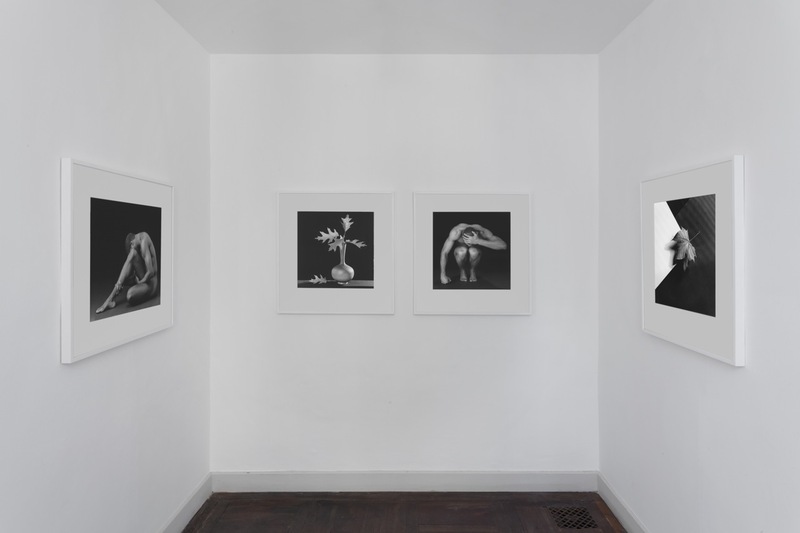 Robert Mapplethorpe (New York 1946 – Boston, MA 1989), studied drawing, painting and sculpture at the Pratt Institute in Brooklyn before embarking on a career as an artist and photographer. 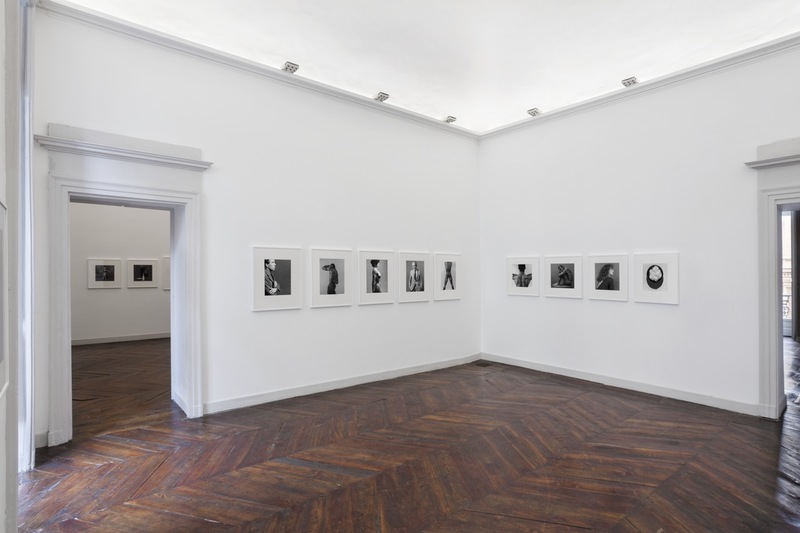 His work has appeared in countless solo exhibitions in institutions around the world, starting with the great retrospective devoted to him by the Whitney Museum of American Art in New York in 1988, one year before he died. 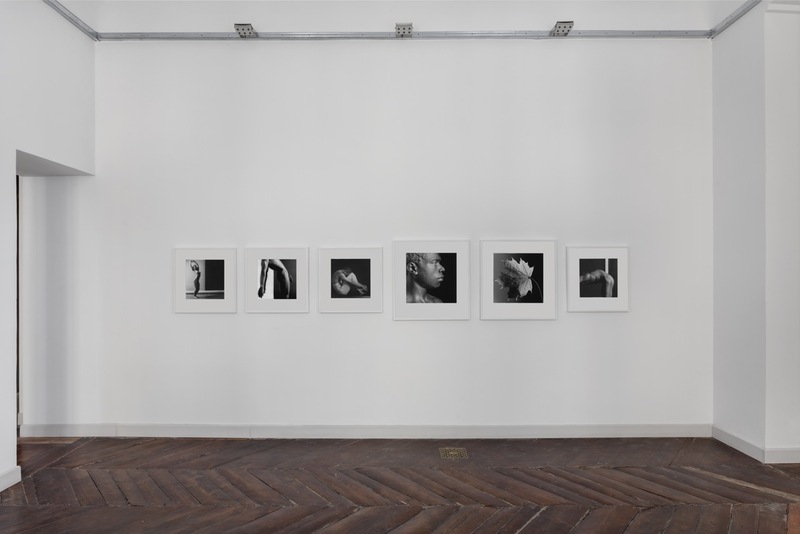 That same year Mapplethorpe established the Foundation that bears his name, in order to promote photography, support Museums that exhibit photographic art, and to raise funds for medical research to combat AIDS/HIV and related diseases. 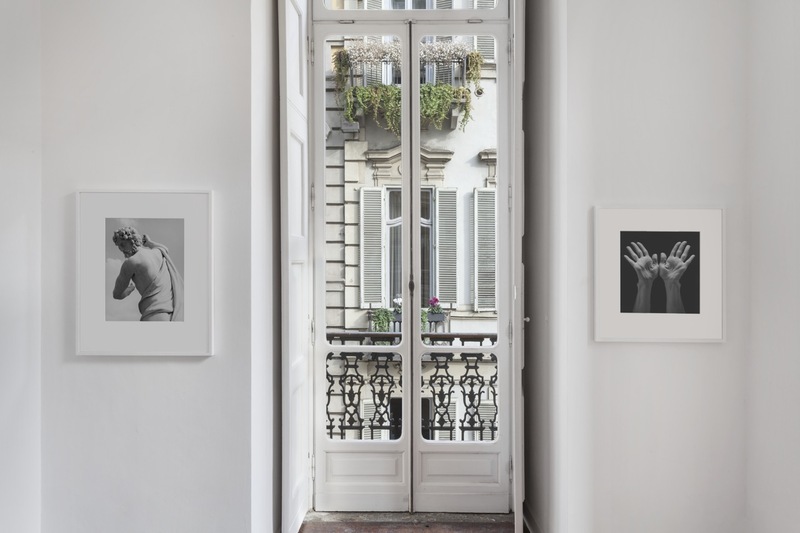 The artist's work can be found in the collections of the greatest international museums and his historic and social importance continues to be the subject of prominent exhibitions around the world. 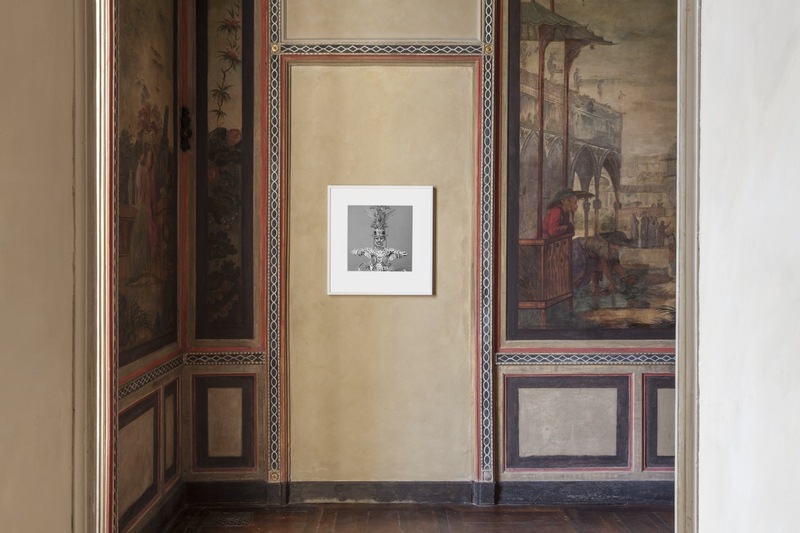 Two major retrospectives of his work were recently on view at The J. Paul Getty Museum and at LACMA, both in Los Angeles, US.